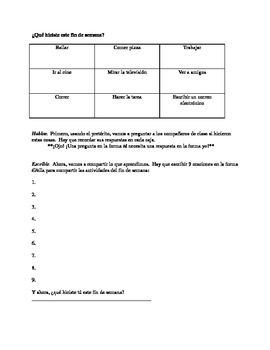 A speaking activity in which students question each other about what they did this past weekend. They then write sentences to report what their classmates did. 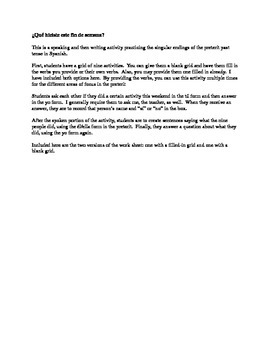 This file contains directions for the teacher and two versions of the speaking activity: on with the activities provided and one blank so the teacher/students can supply the activities.